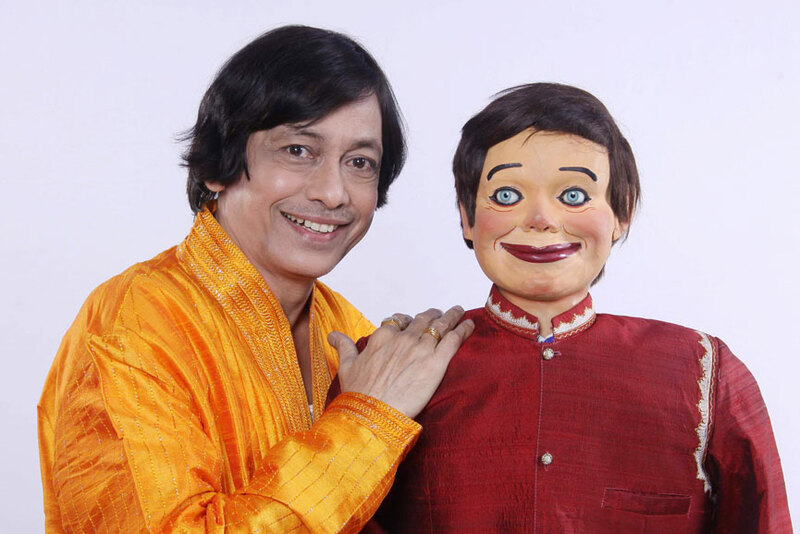 Ramdas Padhye is India’s one and only Professional Ventriloquist, Puppeteer and Puppet maker who has performed his widely acclaimed ventriloquial and puppetry acts in India and abroad during the last five decades with more than 9700 shows in different media including Radio, T.V, Stage, Feature Films and various digital platforms. He has been regularly featured on India’s National Channel Doordarshan since 1972. His character “Ardhavatrao” is a household name in India. 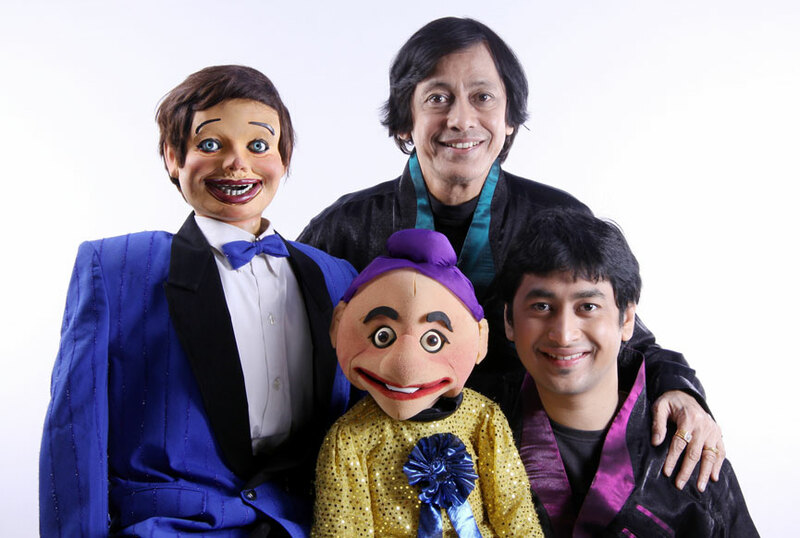 He was the first Indian ventriloquist to perform ventriloquism and puppet-based shows on NBC, ABC and CBS television in America, and BBC's Channel Four. The art of ventriloquism, popularly known as "bolkya bahulya" or "talking dolls" or "shabdabhram" or "voice illusion", is not well known in India. He has given the traditional Indian Puppets and Ventriloquial dolls the technological edge by upgrading them to international standards without losing their Indian identity and universal appeal. 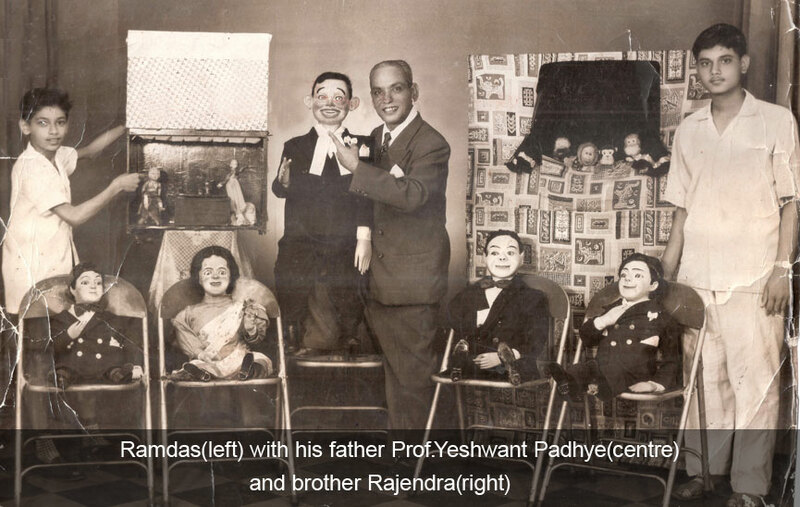 A Mechanical engineer from India’s premier engineering institution V.J.T.I., Ramdas inherited the art of ventriloquism from his father Late Prof. Y. K. Padhye, who was the pioneer Indian Ventriloquist who used ventriloquial dolls in 1920. In 1968, at the age of 23, he performed before the Prime Minister of India Late Smt. Indira Gandhi in New Delhi. Spurred by her advice to give distinct Indian touch to the art, Padhye introduced several Indian puppets/dolls with whom the Indian masses could readily identify themselves. He then selected several themes of national importance such as "Family Planning", "Small Savings", "Child Education", and "Grow more Food" etc. for his shows and presented them with the help of his witty and entertaining puppets. He regularly visited the hospitals and brought cheers to the lives of Cancer patients and mentally retarded children. Ramdas alongwith his brother Rajendra Padhye, who is a Chartered Accountant started performing his shows after the advice of Mrs.Indira Gandhi. Ramdas Padhye has created several characters. His Puppet Studio gives birth to various new characters. Ramdas has a collection of more than 2000 puppets in his Puppet Studio. His character “Ardhavatrao” is hugely popular. This character was created by his father Y.K.Padhye before 1920’s. 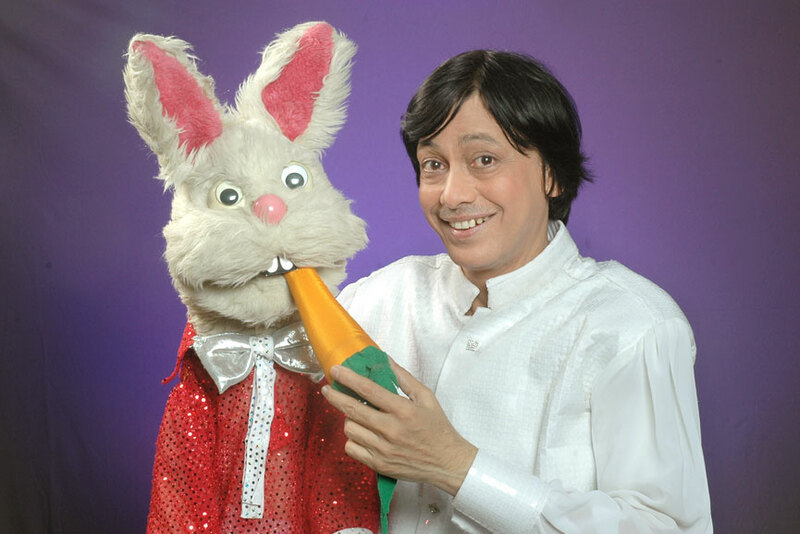 Another hugely popular character is “Bunny the Funny” which features in the Lijjat Papad Commercial. The commercial was shot in 1980’s however it is still remembered by people and is one of the most loved ad-films of all time. The character “Tatya Vinchu” was another milestone in Mr. Padhye’s career which shot to fame with the film “Zapatlela” in 1993. This character is the iconic villains of all time. Thus Ramdas not only design puppets, but truly gives birth to several characters which are itched in the minds of people. 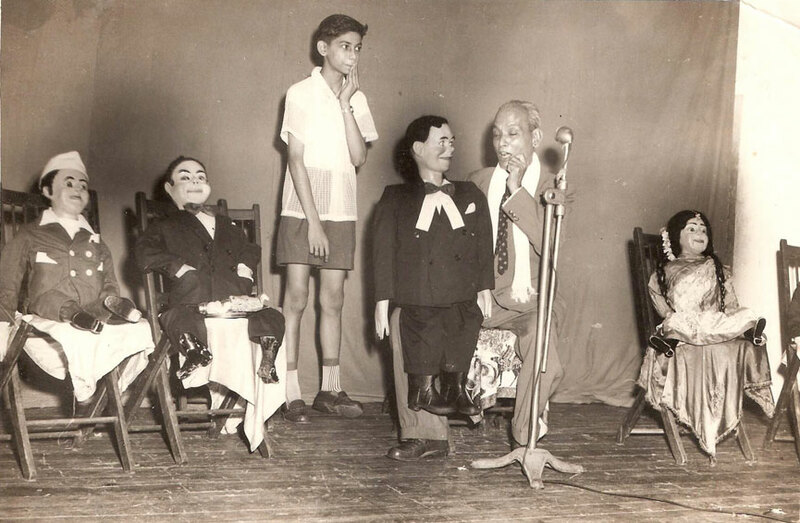 Prof. Yeshwant Keshav Padhye, father of Mr. Ramdas was the pioneer Ventriloquist in India who started this art in late 1920’s. He started by performing magic shows at small functions when the entertainment industry was in its infancy. However he created a niche for himself when he started combining magic and puppetry. He brought the puppets from England to include in his shows, later gradually introducing ventriloquism, teaching himself from a book which he ordered from U.S.A. This excited audiences as they had never seen a lively ventriloquial puppet talk. Once the art of ventriloquism gained popularity, he also received offers from film makers. His puppets were featured in one Hindi film called Akeli Mat Jaiyo produced by Ranjeet Films. His famous puppet "Ardhavatrao" appeared along with actor Rajendra Kumar. The puppet was operated by Padhye himself .He passed away in the year 1967, thereby leaving a huge legacy to his son Ramdas Padhye, who successfully stepped into his shoes and has been carrying on this art to the next generations for last 5 decades. Ramdas at the age of eight, performed his first professional ventriloquism show with these figures and thereafter made prolific use of vent and other puppets in stage performance, films, radio and T.V. ads. Ramdas Padhye is actively supported in his performances by his wife Aparna Ramdas renowned singer, actress, and puppeteer in her own rights.Aparna has done M.A. in Marathi Literature and has great command over Marathi language. 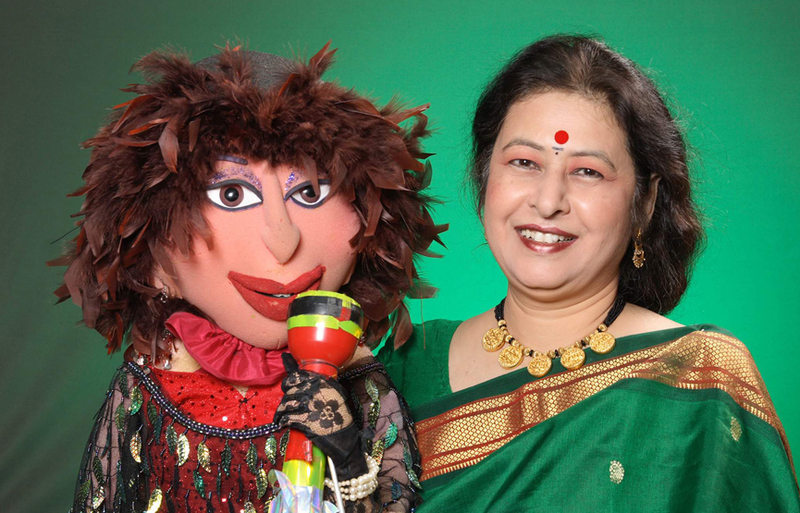 Aparna married to Ramdas in 1980 and slowly started learning the intricacies of this art of puppetry and ventriloquism. 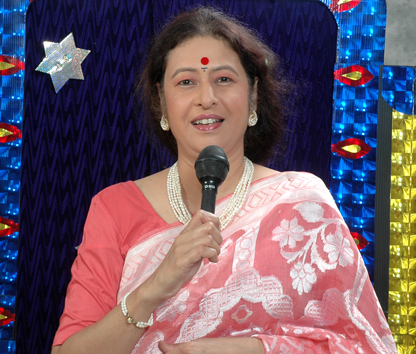 Aparna has regularly appeared on National Television in 1980's and 90's. Ramdas and Aparna both of them perform various skits together along with their respective puppets on Husband-Wife theme. Ramdas Padhye and Satyajit Padhye, the father-son duo are Puppet Design and Performance based team in Mumbai who design Custom Made Puppets, Masks, Talking Objects, Any Speciality Props for Television, AD-Films, Feature Films, Music Videos, Events or for any Entertainment Requirements. Ramdas is the Lead Designer who creates different kinds of Puppets, Muppets, Puppet Masks, Celebrity Puppets, Animatronic Puppets, Talking Objects. 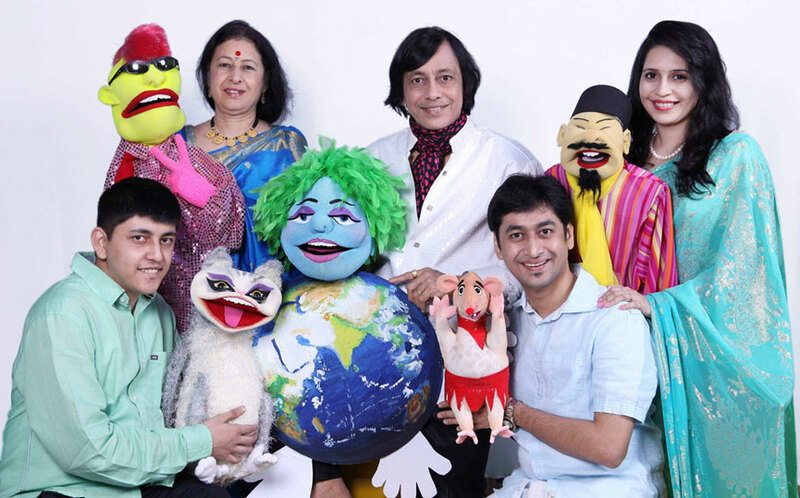 While his son Satyajit does the execution of various projects with their entire team of 15 to 20 Puppeteers based in Mumbai.They have a dedicated Puppet Studio which gives birth to all kinds of puppets, muppets, humanettes, masks and all sorts of talking objects. For more information about our puppet making work visit our Puppet Design Page on this website. Ramdas alongwith two sons Satyajit & Parikshit and wife Aparna. 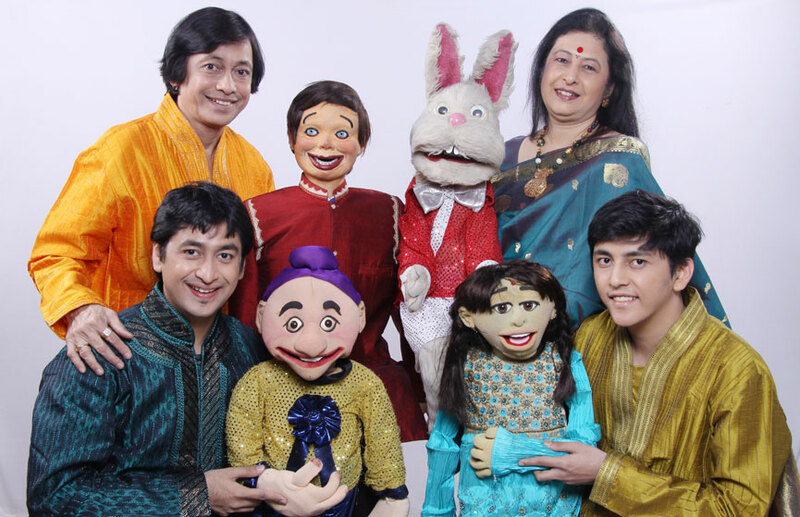 His other son Parikshit is also an Assistant Puppeteer who accompanies him during his international tours. 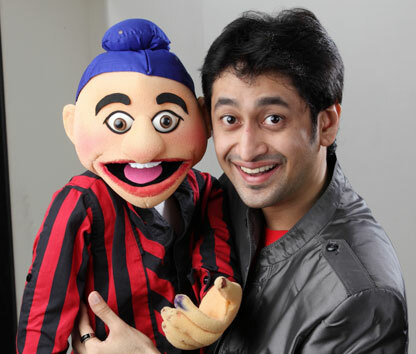 Parikshit is also a skilled puppeteer and has worked with his father for more than 10 years. Ramdas with wife Aparna, sons Parikshit, Satyajit and his wife Rujuta. Rujuta is learning the intricacies of this art form from her husband Satyajit. She has a background in animation and keeps more interest in designing puppets.